Parlay Games is an old hand in online gaming having been active since 1996. This company is a bit different than your typical casino software provider in that it serves mainly as a platform that casino sites can use to deliver online bingo, real money casino games, play-money social games and third party games developed by other software studios. Although Parlay Games does have an in-house studio that develops real money casino games from scratch, the company is not very well known for its casino games. Instead, Parlay Games is most prominent in online bingo and as a platform for hosting third party games. Slots developed exclusively by Parlay Games are a bit dated in this day and age, and it is unlikely you will run across a mainstream casino that offers Parlay Games exclusively. The Parlay Games software platform offers casino operators a collection of tools related to every aspect of gaming in one package. What this means is a client casino site can work with Parlay to host casino games, run an online bingo room, manage an affiliate program, process payments, host games from other developers and manage the entire operation via the back office solution. What’s more, the Parlay Games platform is entirely modular. This means online gambling sites can pick and choose which solutions they need. Operators can look to Parlay to manage every aspect of running a gambling site or simply use Parlay to expand into online bingo or even just add a few games to its portfolio. Today, most of the big-name gambling sites powered by Parlay use it to offer online bingo in addition to their other offerings. Parlay’s in-house casino games look fairly dated by modern standards and therefore aren’t all that popular. It’s main selling point is in what it offers behind the scenes for casino managers. Parlay Games is also heavily involved in social gaming that does not involve real money play. This includes games that are offered as a marketing tool to keep website visitors engaged and to spread brand awareness. These social offerings are more than simple games embedded on a website; they can include social profiles, achievements, trophies and custom solutions for a serious marketing and engagement push. Parlay can also integrate these solutions into Facebook and mobile apps. Parlay Games is an innovator in backend gaming solutions, but their real money slots are not the most inspiring games ever. In fact, they look quite dated today. Their slots are functional and fair, but the graphic design is stale with little innovation – especially compared to some of the more modern casino software developers that are out there right now. 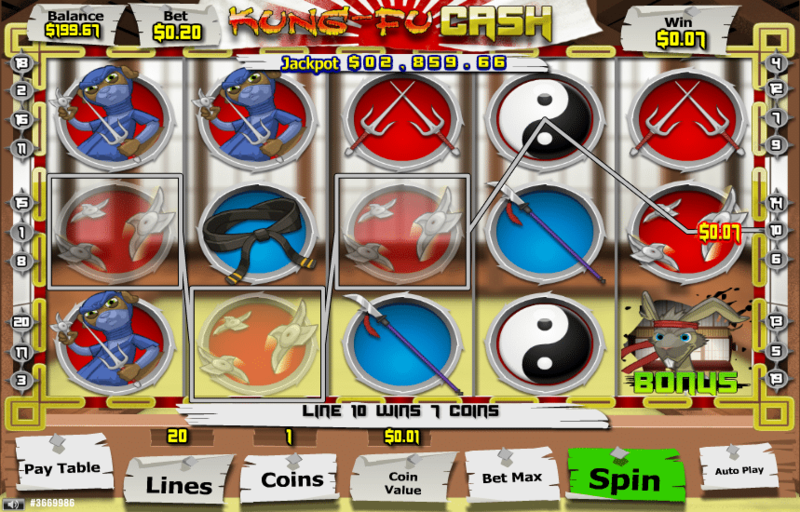 Parlay slots come in a variety of themes that are extremely typical for slots and not all that original. They have your typical pirate, Vegas, Roman, Western and Egyptian themes that offer no surprises. The Egyptian slot has hieroglyph symbols and the Western-themed slot has six-shooters – nothing new here. To be completely blunt, these slots are not very good. I don’t even know where to play these games online because I don’t think very many legitimate casinos even have these slots. Other websites report that you can occasionally find Parlay slots attached as mini-games in the bingo rooms of some large all-in-one gambling websites, but not a single resource online has been able to point me to a casino offering these slots as standalone games. I hate to be too hard on this software developer, but I don’t think even they are really pushing their slots games as an important selling point. Parlay Games is more focused on bingo, social gaming and offering backend service to casino operators. Its casino games strike me as more of an add-on bonus than anything else. Parlay Games makes an effort to make its backend product play well with casino games developed by other providers as well. If an online casino wants to expand its game offering without designing and implementing new games from scratch, they can simply give Parlay Games a call to set up a backend solution that can integrate new games from a wide variety of software providers.